Joanne Mohline, CPA : INDIANO & COMPANY CPAs INC.
Joanne is a Certified Public Accountant with over 15 years of experience in the estate and trust tax areas. Her previous experience includes ten years working for one of the nation's largest law firms in estate planning and administration. In addition, her background encompasses nonprofit accounting, audit and tax work. After working as a Financial and Tax Analyst for the Rock & Roll Hall of Fame and Museum, she focused her efforts on providing consulting services to individuals, small businesses and nonprofits. She holds an undergraduate degree in Business Administration from Baldwin Wallace College and a Master's of Accountancy and Financial Information Systems from Cleveland State University. 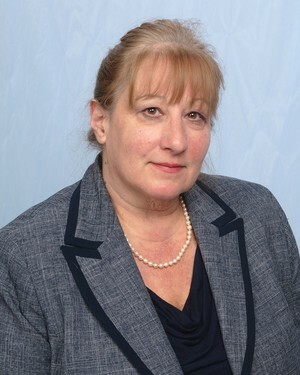 In her spare time, Joanne serves as an adjunct accounting professor for Hiram College. She is a member of the American Institute of Certified Public Accountants and the American Institute of Individual Investors. She resides in Seven Hills with her husband, two sons and two furry friends. Joanne Mohline is not associated with American Portfolios Financial Services.